We’re phasing out all our hooded and zip-up hooded tops for a new style to be launched early May 2013. 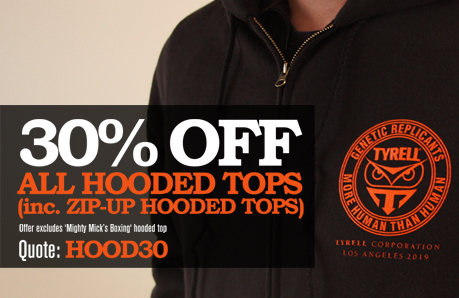 For a limited time, we are offering a 30% discount on all our existing hooded and zip-up hooded tops*. But you’d better be quick if you want to qualify – once they’re gone that’s it! *Offer excludes new style Mighty Mick hood.